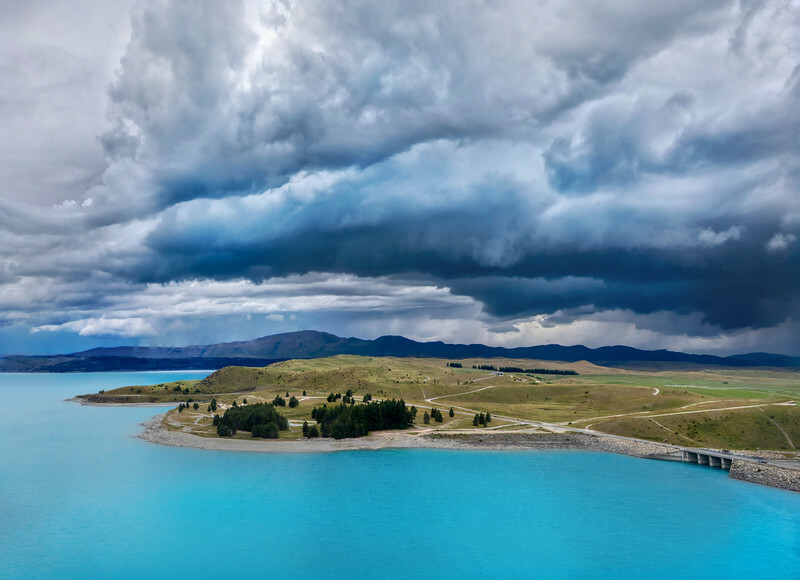 It was a super moody and stormy day on my drive to Tekapo. I could see there was a big storm a-brewin' ahead of me but it was still sunny where I was standing. It seemed like the perfect opportunity to stop here near Mount Cook and get a view from the quad of this rather amazing water on Lake Pukaki. Yes, that's the real color!